* A new $6 million mortgage on a 21-unit, five-story multifamily building on Ave. C. The loan features a rate of 3.25% and a five-year term. Cary Pollack of Meridian arranged the financing. * A new $32.9 million mortgage was placed by Meridian on nine co-op buildings totaling 1,147 units located in the Bronx. The loan features a rate of 4.13% and a 10-year term. Steve Geller and Nicoletta Pagnotta of Meridian arranged the financing. * A new $19.5 million mortgage for three multifamily buildings composed of 256 units located in Brooklyn. The loan features a rate of 3.38% and a 10-year term. Nathan Landau of Meridian arranged the financing. * A new $6.8 million mortgage was placed by Meridian on three multifamily buildings totaling 92 units. The loan features a rate of 4.00% and a 10-year term. 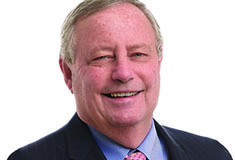 Michael Kesselman of Meridian arranged the financing. * A new $6.7 million mortgage for a 44-unit, three-story multifamily building on Lime Kiln Rd. in White Plains. The loan features a rate of 3.25% and a 10-year term. Judah Hammer of Meridian arranged the financing. 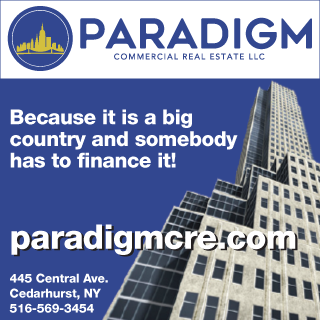 * A new $4.6 million mortgage was placed by Meridian on two multifamily buildings totaling 74 units located on 41st St. and 44th St. in Long Island City,. The loan features a rate of 4% and a 10-year term. Kesselman arranged the financing.